There are compliments and then there’s what Rob Chudzinski had to say when asked about Frank Gore the other day. “He’s everything that you would want the NFL to be about,” said Chudzinski, a former offensive coordinator and head coach in the league. It’s one thing to say a player is everything you would want your team to be about. Taking it to the level of the entire league is saying much more, especially from someone who has a great deal of familiarity with him. The Buffalo Bills haven’t gotten a whole lot of accolades for signing Gore largely because he’s almost 36 years old, well beyond the typical age for meaningful production from a running back. Although their many other moves in a busy offseason have largely drawn praise, the free-agent signing of the league's oldest active player at his position was met with ridicule. Who are they getting next? Jim Brown? Is Thurman Thomas interested in a comeback? Chudzinski, for one, wasn’t surprised when he heard the news on March 13 that Gore had an opportunity to keep his NFL career alive for a 15th season. He had a close-up view of the 11th, 12th and 13th seasons as offensive coordinator of the Indianapolis Colts. Chudzinski designed the schemes and called the plays that a 33-year-old Gore ran on the way to 1,025 yards in 2016, the ninth 1,000-yard season of his career. 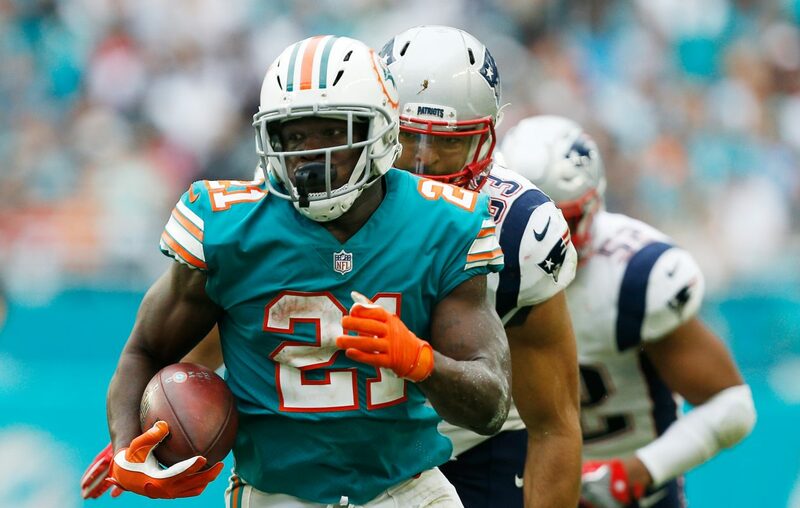 The following year, Gore contributed 961 rushing yards to Chudzinski’s offense before giving the Miami Dolphins a credible 722 yards on the ground in 2018 to move past Hall of Famer Curtis Martin into fourth place on the league’s all-time rushing list with 14,103 yards. Plenty of good things were said during most of the 10 seasons that Gore spent with the San Francisco 49ers, who made him a third-round draft pick from the University of Miami in 2005. He was a five-time Pro Bowl selection and a two-time AP All-Pro pick, creating a solid foundation for a spot in Canton. But one of the problems with having the sort of football longevity as Gore had surfaced before the 2013 campaign. All of a sudden, his age became an issue because he was turning — gasp! — 30. Gore proceeded to give a figurative back hand to his collective doubters by rushing for 1,128 yards. Chudzinski learned long ago that doubting Gore’s football talent was foolish, regardless of his age. That’s because, in addition to what he witnessed with the Colts, Chudzinski was offensive coordinator at the University of Miami when Gore arrived as a freshman, and made himself noticed as Clinton Portis’ backup by having the third-best rushing total by a freshman (562 yards) in school history. Chudzinski watched Gore overcome not one, but two torn ACLs — one in each knee — before launching a spectacular pro career. Gore has never been recognized as a media darling. He’ll answer questions, but treats pretty much everything with a matter-of-fact shrug. That was how he addressed his remarkable comeback from the knee injuries 15 years ago. What has allowed Gore to be so incredible for so long requires a more detailed view. “He’s such a natural runner,” Chudzinski said. “His instincts are unbelievable. He feels things, sees things that you look on tape and you’re like, ‘What did he see there? There wasn't even hardly a crack for him to go into, but there's a big hole over there, and he chose the crack and it turned out to be the big hole.’ Frank see things that you can't. And you can run the film back 10 times, and it's still hard to find what he saw. Nevertheless, factors below his helmet must come into play. Gore is a physical freak. He’s a workout fiend, and makes a point of training each offseason with much younger players who are able to push him well beyond whatever limits he’s supposed to have. More than anything, he finds pure joy in competition. As long as the choice to continue playing remains his — a rarity for NFL players and especially for running backs — nothing has ever given Gore a better reason to keep grinding than the simple chance to compete. Go ahead. Make your jokes. 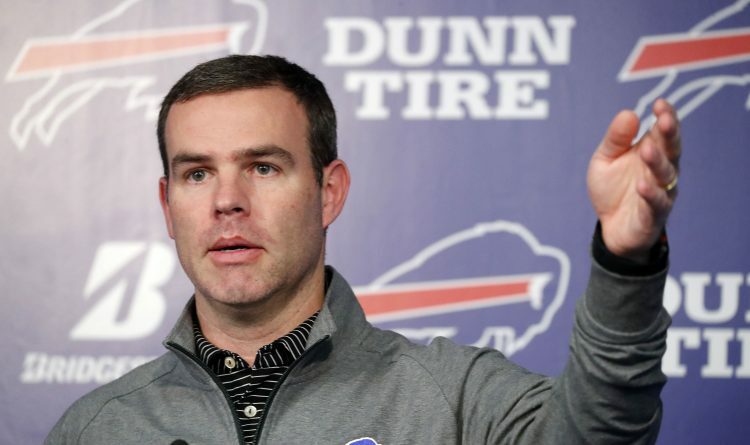 Just don't be shocked if the most productive back on the Bills in 2019 happens to be the one free-agent signing that many people were quick to dismiss as the clunker of the bunch.